Helen Davenport, governess for a wealthy London household, longs for a family of her own—but nearing her late twenties, she knows her prospects are dim. Then she spots an advertisement seeking young women to marry New Zealand’s honorable bachelors and begins an affectionate correspondence with a gentleman farmer. When her church offers to pay her travels under an unusual arrangement, she jumps at the opportunity. Meanwhile, not far away in Wales, beautiful and daring Gwyneira Silkham, daughter of a wealthy sheep breeder, is bored with high society. But when a mysterious New Zealand baron deals her father an unlucky blackjack hand, Gwyn’s hand in marriage is suddenly on the table. Her family is outraged, but Gwyn is thrilled to escape the life laid out for her. The two women meet on the ship to Christchurch—Helen traveling in steerage, Gwyn first class—and become unlikely friends. When their new husbands turn out to be very different than expected, the women must help one another find the life—and love— they’d hoped for. 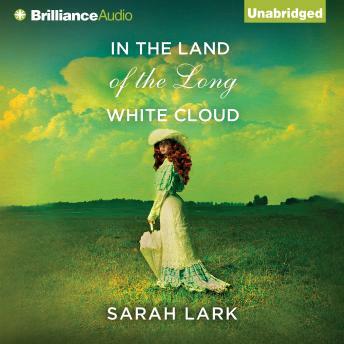 Set against the backdrop of colonial nineteenth-century New Zealand, In the Land of the Long White Cloud is a soaring saga of friendship, romance, and unforgettable adventure.